Been unbuilt for decades and interrupted the project of creating an office district, the urban area of ​​the Porta Nuova area has been taken hold in 2005. It so started an ambitious project - aimed at requalifying a vast area – that was completed in 2015, year of Expo in Milan. It was the largest construction site in Europe in recent years, more than two billion Euros operations, with 2000 men at work and the signatures of twenty architects such as Pelli, Pederson, Boeri. The complex is occupied by more than twenty buildings, including skyscrapers, offices, cultural centers and urban villas; green areas and cycling routes; buildings characterized by a considerable height and a strong architectural impact. 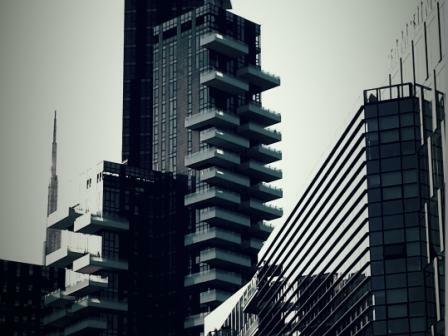 Discovering Porta Nuova is understanding a massive restoration of the urban fabric and the development of existing neighborhoods, including the improvement of the area thanks to a continuous path, made up of squares, residential green areas, pedestrian bridges.